When AEGEE-Oviedo was founded 30 years ago, the fresh Spanish antenna jumped immediately in the support work for Erasmus students. The mobility programme itself was very fresh too; the first students went abroad in 1987. Therefore, there were not many examples to lean on for AEGEE-Oviedo. They learnt fast and did a great job, with a team of 12 Erasmus coordinators. 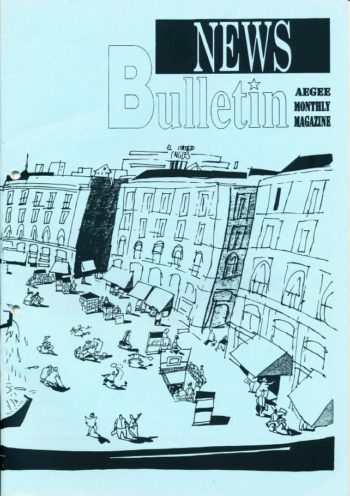 Below you will find three articles about their work in AEGEE-Europe’s main communication tool in the 1980s, the AEGEE-NewsBulletin, which was edited by AEGEE-Oviedo, too. But that’s another story. Enjoy the articles – maybe you get inspired for your own Erasmus work, too! “In order to give you an idea, what can be done with ERASMUS on a local level, I am pleased to present the operating programs 1990/91 by AEGEE-Oviedo based on a report which was made by the ERASMUS responsible of AEGEE-Oviedo, Enrique Riesgo Lázaro. In the following you will find a description of the main points. Assure an easier adaption to our city for the ERASMUS students at all levels: customs, ways of thinking, ways of living, foods and so on. Integrate the ERASMUS students in the academic routine at their faculty. This includes introducing them to their teachers, taking them in a trip around their faculty (library, computer room, classes…). Integrate the ERASMUS students in the city social life. In order to make this programme possible, we have asked for volunteers among the AEGEE-Oviedo members. The ideal structure of the MENTOR list of volunteers is the following: a group of 4 or 5 volunteers from each faculty which has ERASMUS students; these AEGEE-Oviedo members will be able to communicate in the native languages of their guests. Consequently, Germans are assigned to a member who speaks that language, Italians to an Italian speaker, and the same organization for English and French. The AEGEE-Oviedo member working in the MENTOR PROGRAMME is the contact person for a reduced group of students who do have in common the language and the faculty and who will probably have the same sort of problems. Therefore, our MENTOR volunteer should be easily reached by phone at any time, especially during the first weeks. He should be able to solve all the problems, which might arise or to guide them to the proper place in order to solve them. In order to make the programme functional, we give the International Relations Office the list of our MENTOR volunteers, with their contact addresses and phone numbers, so that Erasmus students have this assistance service as soon as they check in at the International Relations Office when they arrive to our city. We also leave at the International Relations Office the contact address and phone number of the AEGEE-Oviedo office as well as plenty of information leaflets on AEGEE. This way, both, those who already knew AEGEE and those who did not, are offered the possibility of contacting us the fastest way. 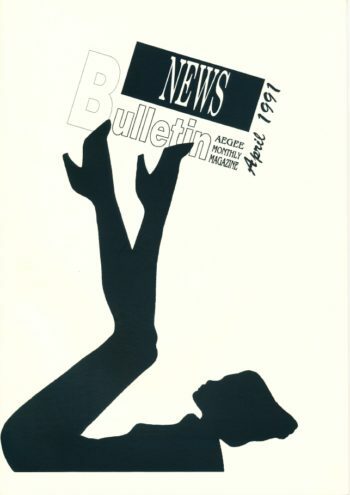 This programme began to work at AEGEE-Oviedo in the academic year 1989/1990. Its aim is to enable ERASMUS students to know the region where they are going to be staying for some months. This was the first programme we created as long as ERASMUS is concerned and it made possible a good and interesting approach to a lot of ERASMUS students. As a matter of fact, it was them who always kept asking for more excursions, which is the present main reason for the existence of the programme as it is nowadays. According to the aim of the programme we establish a complete calendar of excursions along the academic course, and deliver it to the International Relations Office so that they study its financing. The excursions are settled on a fifteen-day basis, usually taking place on Sunday, and always during the weekend in order to fit the philosophy of the programme as an activity, which complements the regular academic life. With this EXCURSIONS programme it is easier for ERASMUS students to become aware of the cultural, social and economic realities of the region they are staying at. Consequently this programme also helps a lot in the adaption of ERASMUS students to their new city and area. This programme has started to work at AEGEE-Oviedo at the beginning of the present academic year 1990/1991. We have developed the programme in collaboration with the Sponsoring Working Group, who got in contact with the firms so as to fix a calendar of visits. These visits might look interesting only for Business students but this is a false idea. The visits to the region as well as a good cultural experience in general terms. They are a good opportunity to have a closer encounter with the real world, which our University cannot always offer, especially when we are talking about ERASMUS students. To offer our members the possibility of learning or improving a foreign language. To provide the ERASMUS students selected for teaching their own native language with some extra money to complete their reduced scholarship. The structure of the courses is the following: we offer English, French, German and Italian; there are three levels for each language (Beginners, Intermediate, Advanced) with a qualified teacher (always an ERASMUS student) for each one of the levels. The minimum number of people to form a group is 4, up to a maximum number of 10 pupils. There are as many groups as necessary depending on the interest of the AEGEE members in each language. This programme needs a person in charge of the enrolment to the courses, the schedules, the formation of groups, the payments, the selection of teachers, the location of the courses’, the publicity given to them… It is quite an important program, not only for the language teaching to our members, but for the image that it gives our association and for the captation of new members. Along with the language courses and, as a complementary facility, we offer the different magazines we are subscribed to and our dictionaries to be used by both teachers and pupils during the lessons and at any time as needed. Finally, we would like to emphasize that the scope of this programme is not making money but support ERASMUS students financially as well as enable our members to learn or improve a language. Due to the continuous abuses ERASMUS students were subjected to when signing contracts for hiring a room (in most of the cases they could not understand the contents of the contract and signed really bad conditions), we felt obliged to create this one legal assistance service in cooperation with the Postgraduate Law School. This way, when any of the ERASMUS students come to us with an unfair contract or any other legal problem we know we have professional support to assist them. We know the lodging problem is one of the biggest ones an ERASMUS student faces at the arrival at our city, just the same as in so many other European cities. There are two institutions that take care of the lodging problem, one is the International Relations Office, and the other one is C.I.V.E. These two offices cannot assure a complete solution of the lodging problem of all the ERASMUS students arriving to our city so we, at AEGEE-Oviedo, try to complete this service. We try to collect a list with the addresses of the flats which have been hired to ERASMUS students the previous year and were satisfactory as far as prize and location are concerned. The aim of this is to fix a certain number of flats, which would be hired by ERASMUS students year by year. Having the security that their flats are going to be hired, the owners of these flats should be willing to collaborate with us and keep them in our so called “ERASMUS – LODGING” list. According to the Latin saying: “Mens sana in corpore sano”, we have settled a certain number of sportive encounters within the academic year. Therefore, we organize soccer and basketball competitions, which are just a good excuse for both, ERASMUS students and AEGEE-Oviedo members to meet and exercise a little bit in a very friendly atmosphere. We organize, in collaboration with our Public Relations Working Group, a certain number of cultural activities and parties for ERASMUS students. There is a welcoming party at the beginning of the academic year which is a great opportunity to introduce AEGEE-Oviedo and a first encounter of our members with the current year ERASMUS students. There is a Christmas party just before everybody goes home for those special days, another welcoming party when both, new ERASMUS students for the second semester arrive and the ones who remain for a whole academic year are back from their Christmas break. Finally, there is a last good-bye party at the end of May, just before they go home. It is also our project to publish an informative leaflet on all the cultural events which take place in our city every fortnight. This way, both, ERASMUS students and our members know accurately the interesting cultural events they can attend to. The economic reasons of most of the ERASMUS students does not even allow them to pay the low AEGEE Inscription fee. Making them members of AEGEE at Oviedo, there is a good chance that when they go back to their city, they go to their local AEGEE antenna, or if there is not one they may even be interested in establishing a new AEGEE contact. Once they know about AEGEE, they become an optimum group of public relations since they talk about our organization to their other local friends and always end up bringing new members. Sometimes, firms or persons bring to AEGEE-Oviedo technical translations to be done. Whenever this happens, we offer the job (and the payment, of course) to the most qualified ERASMUS students. In some other occasions, like when we organize our “Healthy Europe” Congress, we need interpreters, and the first resource we consider is the ERASMUS students staying at our city. In both cases, the qualified students selected for the job can earn some extra money, which always helps. On the other side, we know we are offering a proper and accurate service, which provides AEGEE-Oviedo with a good image. Periodical meetings with the Director of the International Relations Office to talk about our projects, our already existing programs, budget, financing of our programs and finally just to exchange ideas to improve the ERASMUS programme in our city. A continuous flow of information between our and their office. Financing of some of our activities (weekend excursions at the beginning of the academic year). 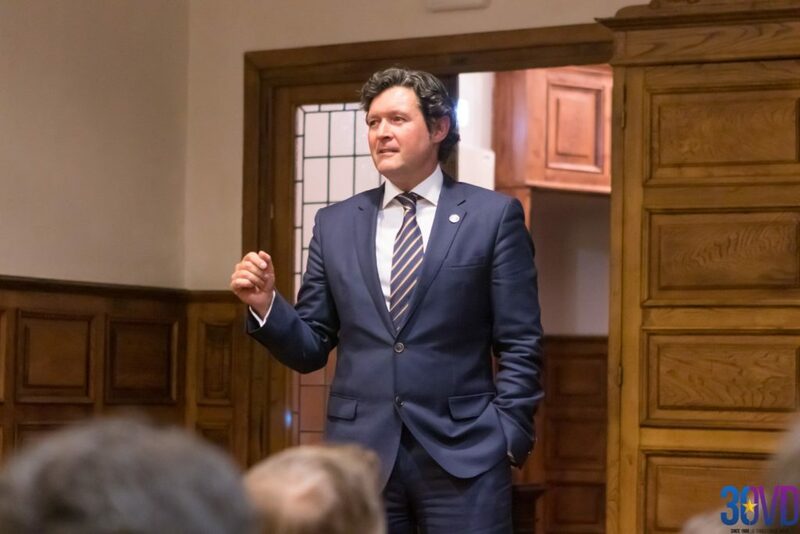 “The first edition of this annual congress, which took place in Oviedo, on the 18th, 19th and 20th of September 1991, at the Chamber of Commerce of Oviedo, came to an end of its working agenda on Friday 20th. The almost 160 participants from different various European countries (including a good number of students from the University of Oviedo) contributed very actively towards the elaboration of practical results and conclusions regarding student mobility within Europe. The main objective of sensibilization of the participants and awareness of the problems of the mobility programmes has been fully achieved. Activities like these contribute in a very significant way to facilitate integration among the European Youth and therefore to the construction of a United Europe. 1. The great development of the mobility programmes is allowing a great number of European students to get to know other cultures, learn other languages and understand other ways of thinking but the mobility budgets are not growing at the same rate as the number of programmes. lack of linguistic preparation in minority languages. 4. All the exchange students (ERASMUS, Tempus, Lingua, Comett) are included in the programmes of assistance that were obtained throughout the Congress as an homogeneous result to be applied in the whole of Europe about assisting in ERASMUS at a local level. 5. Cooperation among all student associations at all levels is necessary: among all the European associations, among these and the representatives in the Universities, elected student bodies, faculty student councils. Joint actions of the European student associations before the Commission of the CEE are basic so as to achieve sufficient economic support for putting their activities into practice. 6. The Tempus programme and the students of the Eastern countries present peculiarities and problems that need special attention. 7. The best way of resolving the above mentioned problems in point 2 is through a narrow collaboration at a local level between the University and active associations in the mobility field. At a European level, a great information flow and continuous communication between the Commission, ERASMUS Bureau, National Agreements and European associations can solve many problems. ERASMUS Bureau: material (Directories, Bulletins) and information support. EC Commission: economic support to the capable and experimented associations that can obtain actual results and solutions. Increase of the mobility budget. European associations: Put into practice. Communication and motivation of students and teachers. 9. The congress “ERASMUS Academy” gets established as the first practical forum about problems in the mobility field of students. It will be held annually and next year will be organized by another AEGEE antenna a different place in Europe, probably focusing in the Tempus programme that will have a lot of importance in the integration of Europe. 10. 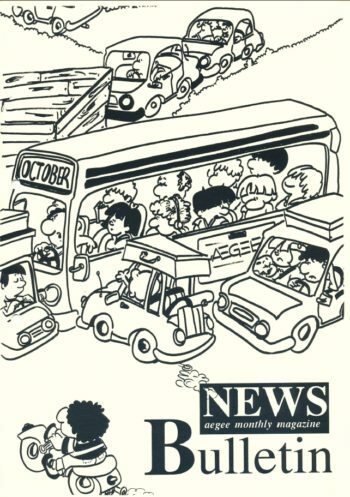 The second edition of this meeting of student mobility in Europe, to be held in 1992 will help to study the evolution of the mobility programmes, to prove the validity of practical solutions at a local level obtained in Oviedo, and evaluate the motivation of the /EGEE antennae and other European associations in their mobility work.